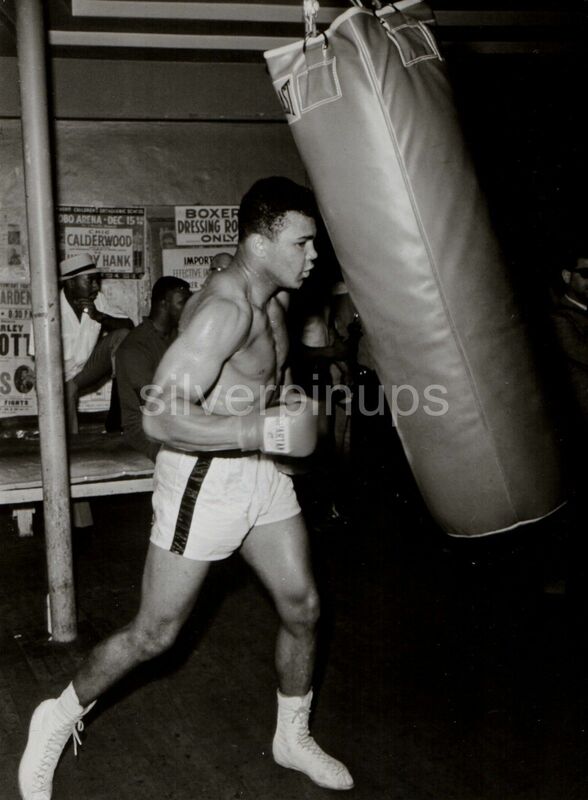 This is a VERY RARE original 7 x 9.5 inch borderless Press photo of 22 year old, CASSIUS CLAY aka MUHAMMAD ALI. A stunning candid shot of Cassius Clay at his physical zenith. 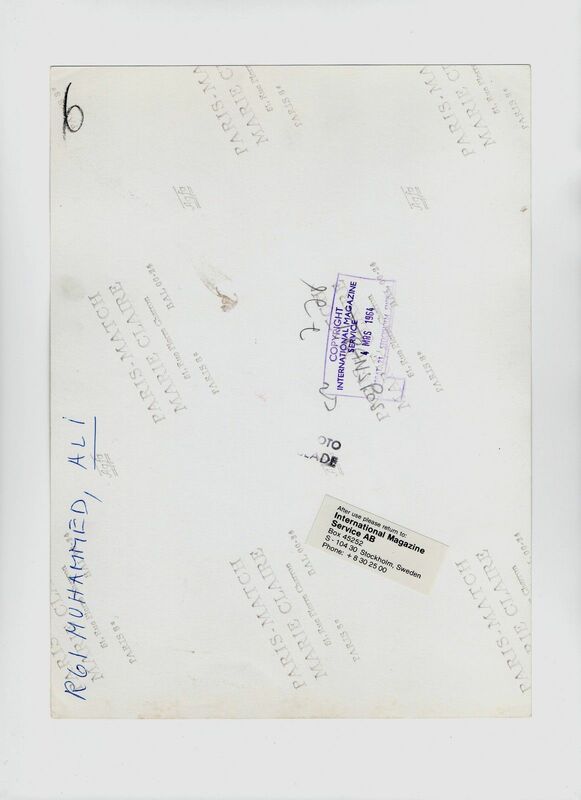 There is a Agency Label attached and a Foto Parade Magazine Stamp (partial) on verso. The back of the photo is also Date Stamped, Mar.4, 1964. He had become World Heavyweight Champion, defeating Sonny Liston on Feb.25, 1964 (7 days prior to this image being taken for Paris-Match Magazine). The photo is in VERY FINE condition with minor surface, edge and surface wear. At the pre-fight buildup, Clay declared that he would “float like a butterfly and sting like a bee”. ICONIC IMAGE! I do combine shipping on multiple items. Shipping in Canada and the USA is 12.00. (I take my packaging and shipping very seriously, see my feedback) I will also ship Internationally, Tracked Packet-International for 40.00. Payment is due within 7 days of auction ending.